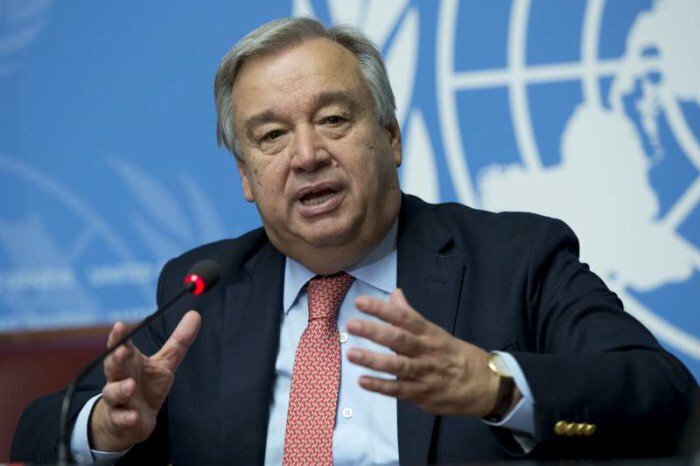 United Nations Secretary-General Antonio Guterres is to return to Crans Montana, Switzerland on Thursday in an effort to rescue peace talks between the Greek Cypriots and Turkish Cypriots. Guterres goes to Crans Montana for the second time as talks between the two sides have stalled after statements made by Turkey’s Foreign Minister Mevlut Cavusoglu saying that Turkish troops will remain on the island and will mobilize if need be. Cavusoglu also said that the Turkish Cypriot side wants the system of guarantees to remain. The proposal for the immediate abolition of invasive rights has not been lodged only by Greece but also by Britain, the U.N. and the European Union representatives. However, the Turkish foreign minister said that the removal of the 35,000 troops from the island is in the “Greek Cypriots’ dreams” and they better get rid of these dreams. Kotzias announced that efforts to find a compromise on the issue of guarantees and the withdrawal of Turkish troops will continue. Indeed, Mr. Kotzias expressed his hope that a group of specialists (with the participation of military personnel) will be set up to examine the withdrawal of the troops from the island. On Tuesday, Athens submitted its proposals in detail on all matters concerning guarantees and security. Greece insists on the agreement on a specific cut-off date on which the last Turkish soldier (sunset clause) will leave the island. It also proposes a mechanism for verifying and monitoring the implementation of the solution, which will not involve the guarantors. In this mechanism, according to Athens, the U.N. should play a key role, and in the same context a pact of friendship between Cyprus, Greece and Turkey should be concluded for issues such as immigration, terrorism, natural disasters etc. This pact will not have a military dimension.